Every now and again a polish will come along that I just want to wear forever, and with After The Storm it really is true love. Sigh! I've admired WingDust polish from afar for a good while now, always making googly eyes at swatches on other blogs, and I finally made my first purchases recently from Rainbow Connection. I fear I've been bitten now though, because I absolutely adore this polish! After The Storm is a beautiful combination of a teal jelly holo base (it's actually a subtle linear holo) packed with fuchsia and silver hex glitter in varying sizes, and a dusting of tiny iridescent glitter. The formula is wonderful and I used 3 coats for full depth plus top coat, but you could probably get away with 2. 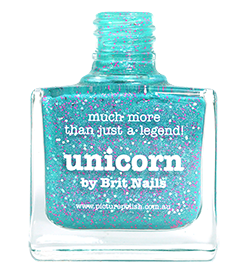 Love love love, this is everything I want in a polish! 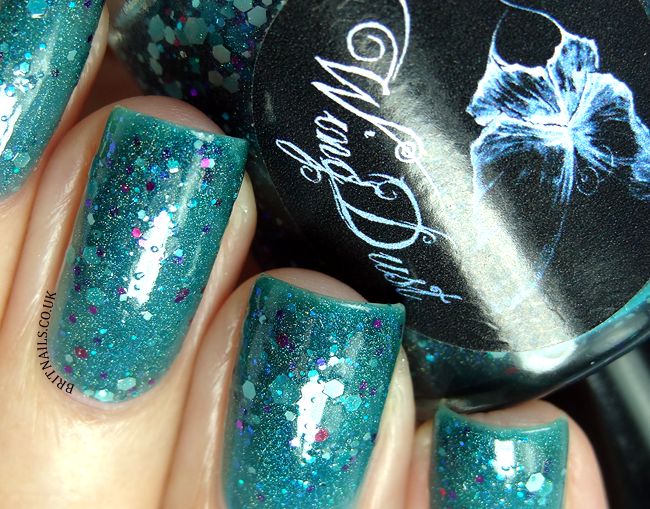 I love teal polishes and this one looks absolutely stunning! This polish is really gorgeous, I can see why you wanted it so badly!! Oh, it is absolutely stunning!